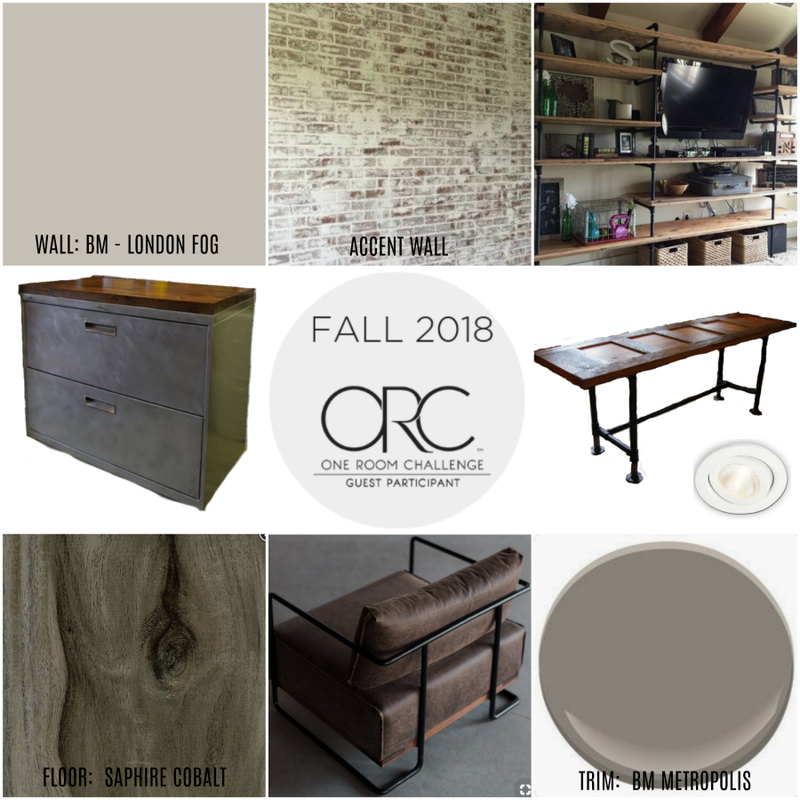 The bi-annual One Room Challenge(with media partner Better Homes and Gardens) is in Week 3 (of 6) and the checklist is going down! This is an oooooold door. An ooooold wood door. An old, heavy and covered-with-layer-upon-layer-of-paint door – so I had to bring in the chemical stripper (which I hate using) to clean it up. I didn’t do a lead test, but I worked in a mask and gloves just in case any layer of paint on this beast was lead – better safe than sorry. I gave it a good sanding and was so incredibly disappointed to find that someone had actually applied a veneer to a wood door. Who would do that? I could have used a planer to get right down to the bare wood (pine) but then all the trim work in the door panels would have been destroyed. Since Sherri wanted a roughed-up, antique looking door, we decided to see if we could stain over the patchy areas to create some kind of even finish. but a coat of ebony stain over top did make the finish more rich and even and Sherri was pleased with the outcome (you’ll have to see the finished desk in the final reveal). Besides the flooring install and the desk build, we also managed to get the new baseboard painted and got two coats on the walls. That’s a spectacular makeover if you ask me. I don’t want to jinx our progress, but everything is coming along beautifully – we might even make the Week 6 deadline! Can’t wait to show you our Week 4 progress! Come back next Wednesday and see how far we get. Week 3 – Special project: Business logo sign! Be sure to check out the ORC Guest Participant pagefor more awesome makeovers!